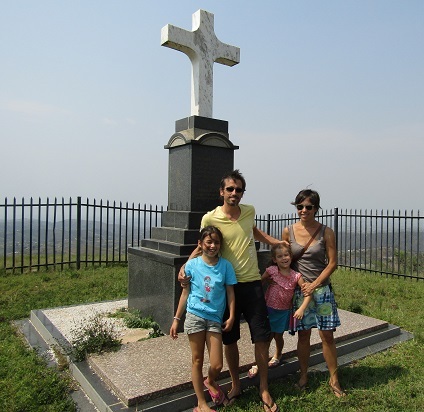 The first Zulu Christian martyr, Nqamazela Khanyile, was put to death in 1878 after refusing to obey King Mpande’s order to become a conscript in the Zulu army. After protesting that he was a “soldier of the Lord” and therefore unable to serve any other commander, Khanyile was given an ultimatum – renounce his religious beliefs or be put to death. He chose the latter and the soldiers attempted to kill him by firing squad, but the musket failed in the first attempt. The second attempt was more successful and the soldiers left his body on the hillside and departed. That night there was a massive thunder storm and in the morning, so the story goes, there was no sign of the corpse. 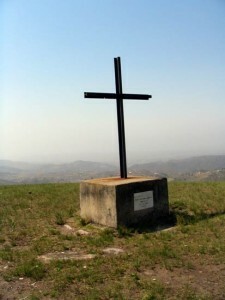 The 4-metre-high stone cross on the crest of the hill where Khanyile was killed is visible from kilometres away, and a smaller cross below marks the exact spot.